The desperate need for nurses nationwide is very well-known, making the RN license (especially a BSN degree) all the more valuable for those looking at a career in healthcare. But one niche of nursing—school nurses—has hit a new level of need, and it could be costing kids their lives. According to CBS News, only three out of five schools across the country has a full-time school nurse, which forces teachers and administrators (often with no medical training) to try and fill the void. For the kids caught in the middle, it’s a risky situation, especially with one quarter of students now living with some form of medical complication—like asthma or diabetes. And for some kids, the lack of a school nurse hits home in the worst possible way. During what started as a normal school day, Pressley’s 9-year-old son collapsed while in the school cafeteria, likely due to a heart defect he’d had since birth. Staff who’d been trained in CPR alone tried their best to revive the boy but were ultimately unsuccessful. And because he’d collapsed on a day when the part-time school nurse wasn’t present, no trained healthcare professional was on site who could have possibly changed the outcome. It’s a story echoed across the country, as over the past several years, multiple children have died at schools with no nurse on duty. 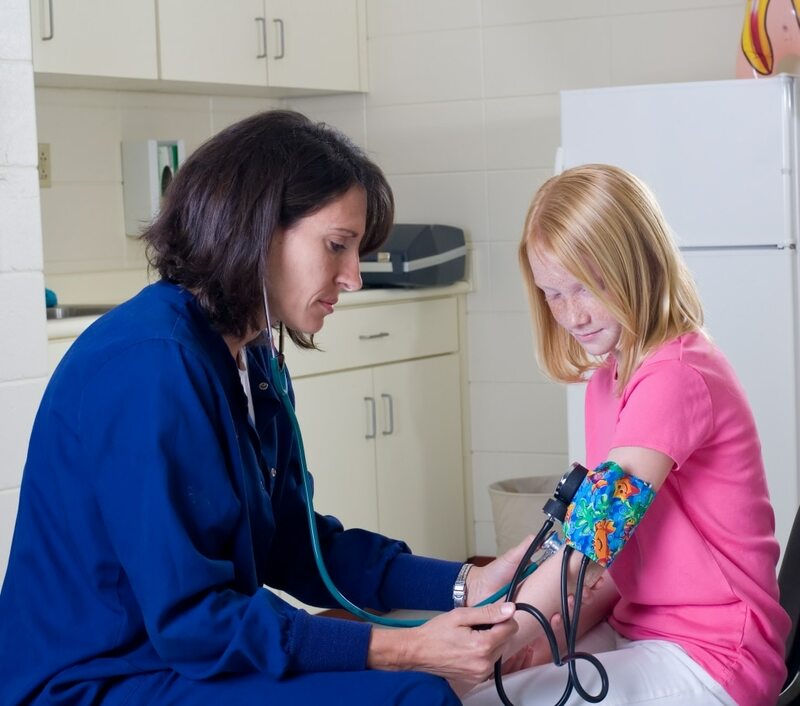 According to the National Association of School Nurses (NASN), the shortage is a crisis, with over 40 percent of schools without a full-time nurse, and 25 percent without a nurse at all. And even the part-time nurses are struggling to meet the demand. “If you have a workload that doesn’t enable you to care for the students in a way that you need, it’s like drinking water from a fire hose,” says Donna Mazyck, executive director of the NASN. In the meantime, schools and politicians are doing what they can to close the gap. Several cities, such as Philadelphia and Cincinnati, have formed partnerships between local children’s hospitals and the school system to identify needs and provide additional care. Next month, the U.S. Congress is expected to introduce the Nurse Act, a bill that would provide grant money for schools to hire school nurses. But no plan will be able to completely solve the problem without one crucial ingredient—the nurses themselves. Schools and politicians can move mountains to raise funds and create additional positions, but without highly trained, hardworking, driven RN’s (especially those with BSN degrees), students will always be at risk. If you are interested in beginning your own career as a nurse or medical assistant, Eagle Gate College can help make that dream a reality. Contact us today for more information!